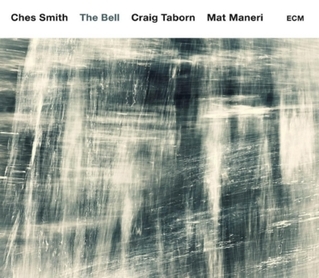 The Ches Smith Trio: Craig Taborn, piano; Mat Maneri, viola; Ches Smith, percussion. hallwalls.org. Music of The Bell seems about the interplay of the subtlest of overtones, not unlike the layered harmonic convergences of multiple bells when played on a steeple. That’s a way of imaging and accessing this chamber jazz, which sometimes elides listener engagement with minimalist vamps and fragmented indirection. Underlying, more promisingly, is a sense of internal three-way dialogue. 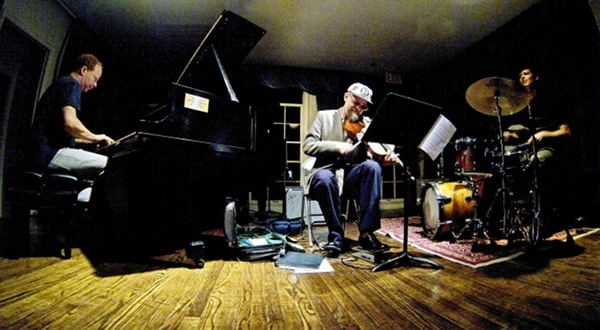 The Ches Smith ECM Trio performed on Feb. 23 at Bay View United Methodist Church, 2772 S. Kinnickinnic Ave., Milwaukee. This review was originally published in slightly modified form in The Shepherd Express. The flowers I bought and arranged into a bouquet last Thursday for my girlfriend Ann Peterson still haven’t faded. 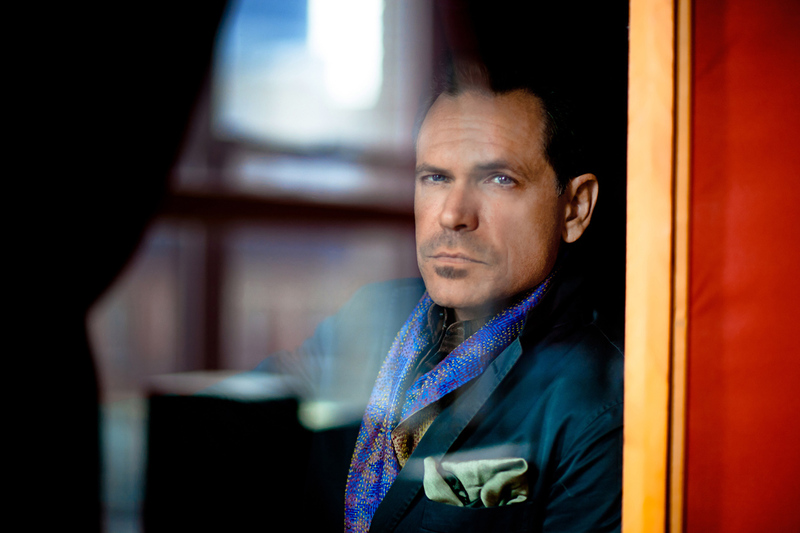 Nor should the spirit of Saint Valentine’s Day, and one of the greatest cultural purveyors of concepts and larger values of love is the great jazz singer Kurt Elling. His last album Passion World (Concord) has been out for a while, but it seems like it should have been released on Valentine’s Day. So the review of the album I wrote for The Shepherd Express, reposted here, feels as timely as ever. 1 Elling took a cosmopolitan and extremely global view of the concept of romance and love that, with his stylistic range, reaches to the common man and woman as well as the romantic sophisticate. And we sure need a serious concept of love to take hold in all the troubled spots in the world today. One of the first concerts Ann and I ever attended together was Elling performing at the Sharon Lynne Wilson Center for the Performing Arts on Valentine’s Day of 2014. Since we saw him in Milwaukee, he’s been a bellwether for the quality of music events we have strove to attend, which has compelled us to Red Rocks Amphitheater in Colorado, as well as the SFJAZZ Center in San Francisco, among other places, all by hitting the road in my car. 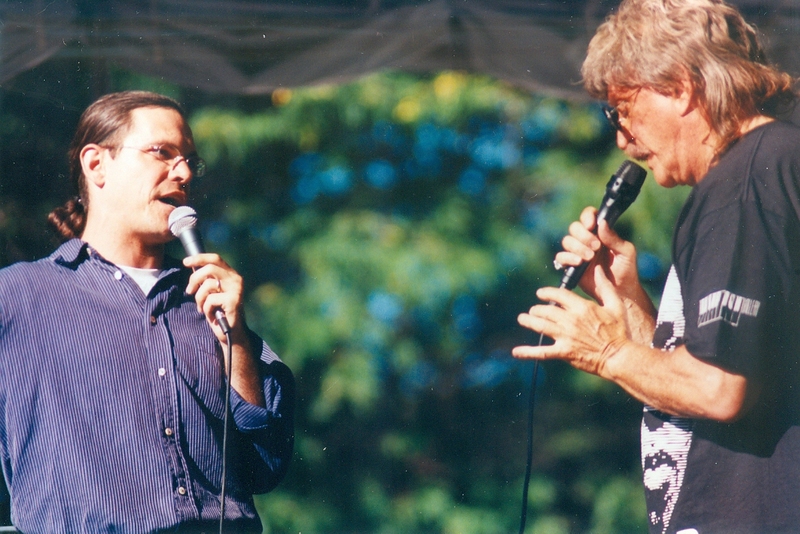 I also drove to the 1997 Chicago Jazz Festival, and l’m posting a few previously unpublished and unposted photos of the unforgettable performance that Elling put on at that festival with his primary inspiration, the fearless and gifted jazz vocal pioneer Mark Murphy. If ever I have experienced love on a stage — profoundly leavened by mutual respect — it was between these two performers. 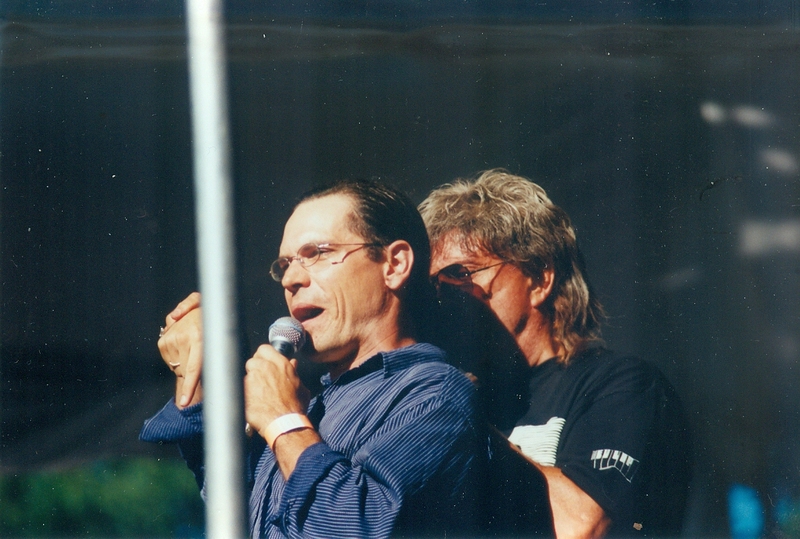 Elling is straight and Murphy had been openly gay since early in his career. That fact had made Murphy’s whole professional life an uphill climb, as I detail in the blog post I wrote in commemoration of his death:http://kevernacular.com/?p=3932. Elling, a Rockford native, remains one in the most impressive and ambitious artists in jazz today. He has persistently conceived and realized concepts for both his albums and for special concerts that encompass jazz tradition and innovation, as well as literature, philosophy and the other arts. Among the world’s most ambitious and gifted singers, Elling pursues what philosophers call the life examined, evidence of his training as a seminarian. Here, his deft, pliant baritone addresses the concepts of passion and romance, and how their complexity and commonality exist among various cultures. 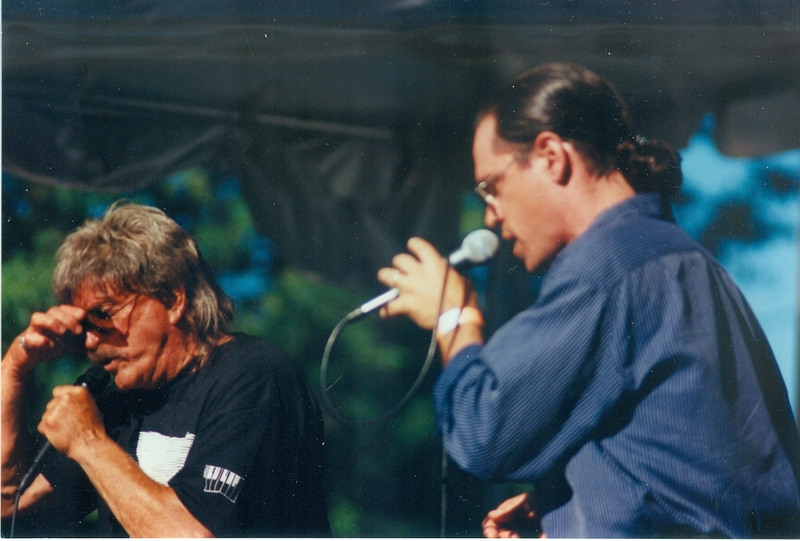 Songs in English, Spanish, Portuguese, French and German include folk to art song and tunes adapted with Elling’s own lyrics. Accompaniment ranges from trios to orchestras from Germany and Scotland. For all his global reach, the results consistently convey the truth and illusions of personal experience. Among Elling’s ports of song is “La Rose en La Vie,” popularized by Edith Piaf. Sumptuously orchestrated with brilliant orchestra-ensemble passages, the magnificently genial melody reaches globally in Elling’s eight-minute-plus version. Carolina Strassmeyer unfurls a lovely, ardent alto sax solo reminiscent of Stan Getz in his bossa-nova phase. 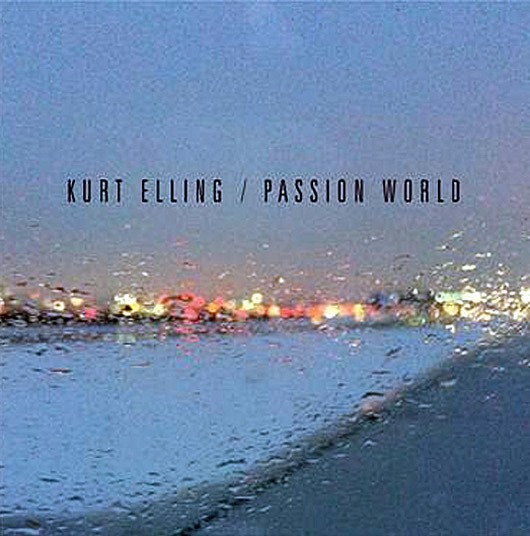 The song reflects both Elling’s ambition and his serious-minded humility, in the lyric’s near-helplessness, and in the sense that he’s forever pursuing great material, past and present, by other great artists, to honor and revitalize. By contrast, “Voce Ja Foi a Bahia?” by Brazilian Bossa-nova singer-songwriter Dori Caymmi, is an effervescent duet with Sara Gazarek that conveys the joy of dance in the way the singers twirl, embrace, and artfully circle each other, in perfect rhythm and harmony. 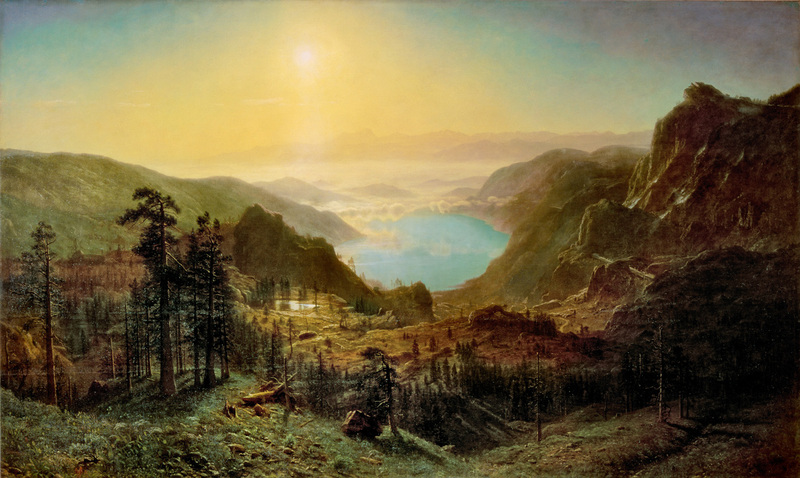 Almost improbable as a follow-up to such Latin joy is Elling’s reading of Johannes Brahms’ exquisitely abject ballad “Nicht Wandle, Mein Licht,” His strong supple baritone holds the lieder up to the light to examine and honor with love’s tenderness. 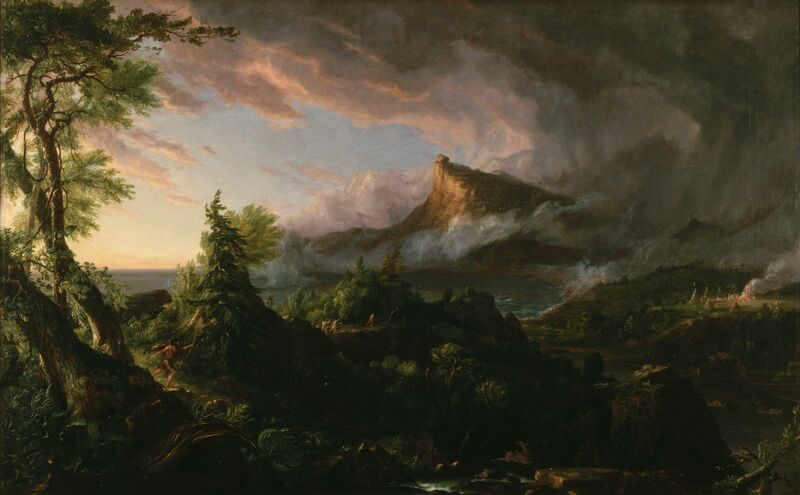 The light is the song’s metaphor for the singer’s lover, for whom his tears may or may not have prompted a flood of tears. A sultry piano by Frank Chastenier brings the ballad fully to the present. Elling’s ports lie far afield from jazz again on Bjork’s “Who Is It?” But it works as a heart-swelling affirmation of amour — the lover’s trust is a fortress for the lover. It’s an example of Elling’s mission, to pursue the life examined, here by patiently asking the questions that give the real or potential love in one’s life due scrutiny and honor in one’s view. 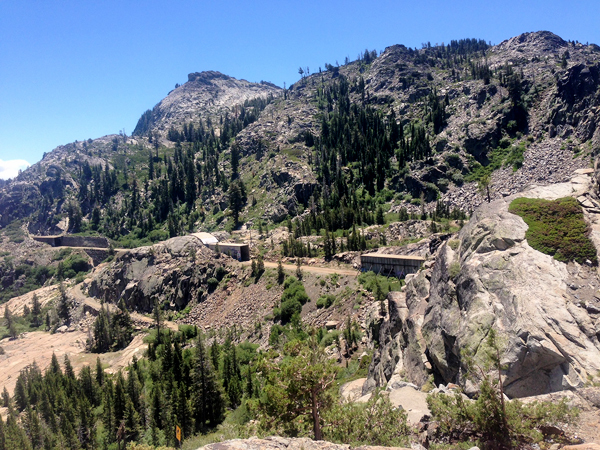 Elling’s vision expands outward and inward; following along is an armchair adventure. Twas the night before New Year’s Eve, give or take a chilly few. 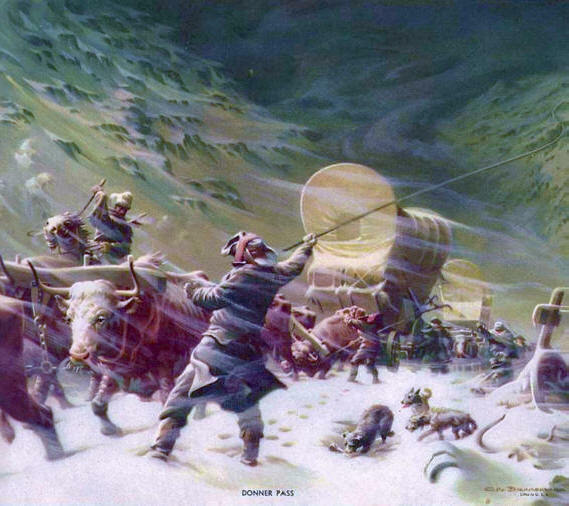 And all through the night the big blizzard had blown. Milwaukee lay mostly fast and asleep, engulfed in a blanket of silver and white. Yet the embers of cutting-edge jazz arose and flared at an unlikely locale. 55th and Vliet Street is not the hip East Side, nor is it Bay View or Riverwest. The East Side’s now-darkened beacon, The Jazz Estate, hovers in limbo. So The West End Conservatory just may become the new locus of envelope-pushing jazz in Milwaukee. What radiated like a blazing furnace in the conservatory’s long, icicle-encased recital hall was the Russ Johnson- John Irabagon Quartet, though the big, bad blizzard took its toll even here. Besides New York-based Irabagon, the other featured guest performer, tenor saxophonist Ohad Talmor got trapped in O’Hare, Chicago’s black hole of an airport, due to the blizzard. Thankfully Irabagon, from Gurnee, Il. (and likely visiting relatives) got to the Midwest early enough for the gig, as did two Chicagoans, bassist Matt Ulery and drummer Jon Deitermyer. 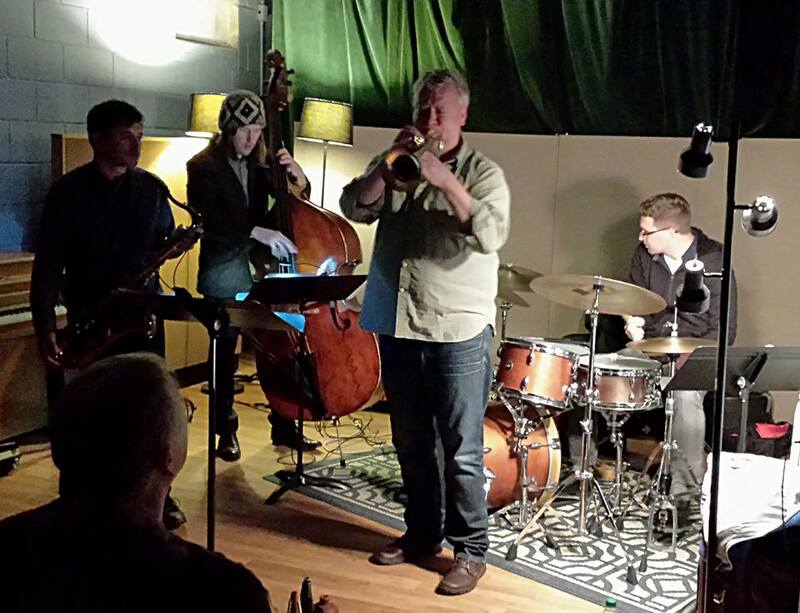 The great trumpeter Russ Johnson, a Shorewood resident who worked for some years in New York, has built up strong connections with top-flight East Coast jazz musicians. But even he needed a serious listening space for his latest heavyweight collaboration. That’s where the still-young and evolving West End Conservatory has stepped up big time. It was the latest in an impressive series of concerts the West End has hosted (see main story). But even the star jazz band The Bad Plus, upcoming Feb. 6, will be hard-pressed to top this performance. Husky trumpeter Johnson projects unbridled passion, bristling virtuosity and bravura power which, at times, summons the spirit of Louis Armstrong, whose legendary 1928 recording “West End Blues” resonates in the Conservatory’s name. Johnson has been burning it up here and in Chicago for several years, and released two superb recent recordings, including a daringly ambitious reimagining of a classic Eric Dolphy album, which Johnson titled Still Out to Lunch! Nevertheless, the real revelation this night was the first-area performance by Irabagon, an affable man of modest stature but gigantic gifts and intelligence. We understood quite quickly why he compares well with any rising saxophonist playing jazz today. And why he won the 2008 Thelonious Monk International Saxophone Competition. 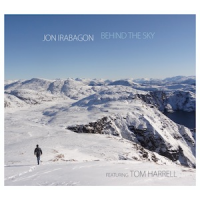 Besides Johnson, Irabagon has worked or recorded with such luminaries as Kenny Barron, Lou Reed, Wynton Marsalis, Mary Halvorson, The Chris Potter Big Band and Mostly Other People Do the Killing. He played on two of 2015’s best albums, Dave Douglas’s Brazen Heart, and Irabagon’s own Behind the Sky with trumpeter Tom Harrell and pianist Luis Perdomo. 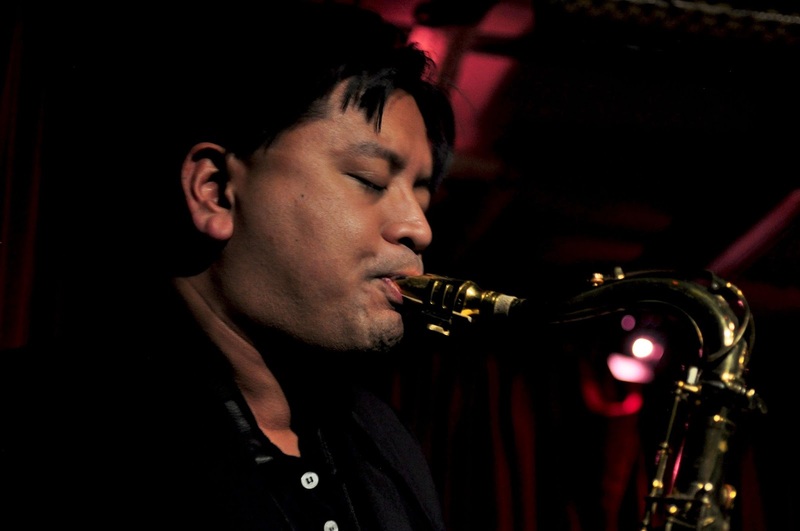 Irabagon’s deft fingers and lusty lungs turned the first set into to a concise, vivid history of the modern tenor sax, with lighthouse beacons from most of the giants. On the opener, Johnson’s “Sowatch,” Ulery’s big, spacious bass and Deitermyer’s finely crackling drums cushioned a loping lope of a funk rhythm. 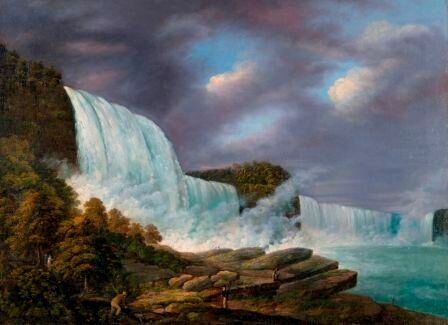 Johnson set the pace with a solo of sharply rising clarion climaxes. Then they launched into Irabagon’s “It Needs It,” which proved an odyssey. A neo-boppish groove felt like Sonny Rollins meeting Wayne Shorter — sax lines alternately rounded, juicy, oblique and gruff. Here Irabagon’s tenor sax recalled Rollins’ bristling youthful brio on his early RCA recordings. Soon, he’d also evoked Archie Shepp and John Coltrane in alternating bars and finely fractured intervals, and then a burst of Joe Henderson’s gloriously gutsy flag-waving cries. When Johnson joined in, they sounded a bit like Rollins with avant-garde trumpeter Don Cherry, the trumpeter dancing and smearing notes, the theme now slower, in a mock conversation between two horn players. The tune then rose into magnificence, the two players now resembling brothers reminiscing shared bitterness, pain, love and loss, all with an abandon veiled in puckish wit. By the end, both players began emitting slightly strangled embouchure noises in the virtual silence of the rhythm section, akin to bizarre and exquisite sonic manifestations of Roscoe Mitchell (who Irabagon has studied with) and the Art Ensemble of Chicago. I couldn’t recall anyone who had so convincingly summoned more sax masters in a four-minute solo. I also sat stunned because none of this, nor the ensuing playing, sounded the least bit like academic exercises or showiness. It was more like a train traveling deep from a tunnel in jazz history, clearly blowing its own horn, “I’m coming through!” — even as all those music greats echoed from the cavern deep in the horn. And this night sounded like more than enough of what Milwaukee needs to rejoin the major leagues in jazz. For all his passion, Irabagon conveys a sense of well-considered irony that dwelled in much modern art more than the more facile post-mods may realize. The second set was no less stunning than the first, with a couple of angular lines, Irabagon’s “Obelisk” and Johnson’s “Pardon the Pun.” They both brought to mind the Dolphy-by-way-of- Monk heart-skipping intervals that Johnson employed in his Dolphy re-invention album. Frequently bassist Ulery recalled the glowing songfulness of the late Charlie Haden, who traveled in the deep valleys of forward-trucking Americana during decades of the most exploratory jazz. As the crowd poured out on Vliet Street, the snow-bound noir felt considerably warmer than before. A brightness glimmered around the streetlamps, like fireflies dancing in the dark. 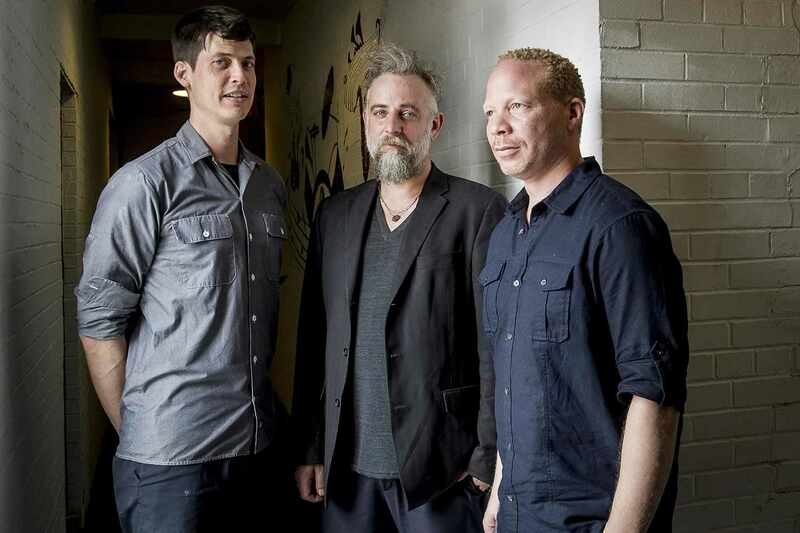 The West End Conservatory will host two shows by The Bad Plus on Saturday night. The West End Conservatory is the story of a burning vision shared by two Milwaukee jazz musicians with surplus talent, energy, intelligence and pure grit. 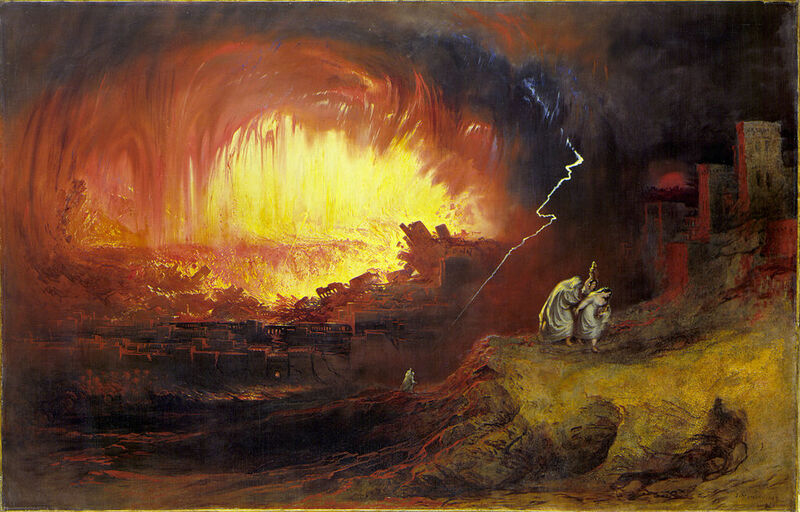 But the flame almost went out early on – like a candle they burned together at both ends, in a roaring wind. The Conservatory’s two founders both went through career-choice changes that would forsake music for other disciplines. Neil Davis, who already had nearly a decade of experience as a guitar instructor, decided history would be his field when he transferred from to University of Minnesota-Duluth to UW-Milwaukee in 2001. Also at UWM, Isaiah Joshua decided he wanted to pursue a career in athletics after a number of years of learning several different instruments. However, these decisions also seem indicative of the intellectually hungry jazz musician living in the moment, which means serious grappling with changes – career, charts, gigs, whatever. Neither of them could shake music’s siren song, even as they turned away from it. Once they finally met – after years of learning, playing and musical dues paying – they had the germ of an idea. It took two more years of jamming and brainstorming at Joshua’s house before they formed the music school in February of 2013 and named it for the location, but the name also invokes one of the first great recorded statements in the history of jazz: “West End Blues” by Louis Armstrong and his Hot Five in 1928. The tune was named for a legendary New Orleans venue which pioneered interracial jazz. Now it’s like righteous fate, the ghost of Satchmo floating over their shoulders, blowing his indomitable blues. Davis, by the way, is white, and Joshua is black. “We believed in the idea and had a couple things we definitely wanted, a location between North Avenue and Capitol Drive and west of 35th Street; there was nothing like we were planning,” explains guitarist and guitar instructor Davis. 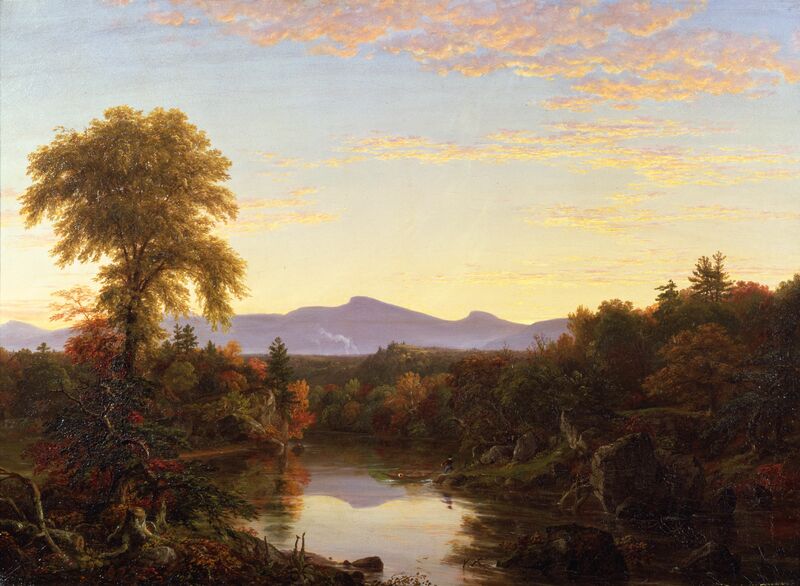 “That encompasses a wide swath of the town. It was stroke of good luck finding this building, because you need separate rooms for lessons but we couldn’t afford a building much bigger.” An anonymous donor came through with a substantial loan they’re paying back, and Davis’ brother Adrian chipped in as a minority partner. David Glazer, a real estate broker in the neighborhood, found the building for them. The former office of a family-practice physician, at 5500 W. Vliet St., proved perfect, and the potential recital hall space – a long-unused storage room running the full depth of the building – really brought it into focus, Davis says. Dr. Laure DeMattia has since relocated out of town, but still owns and leases the building. The doctor’s examination rooms served perfectly for practice and instruction. Little renovation was required. “We removed the awnings ourselves; the main costs were new signage and new front windows and front door,” Davis says. Visitors enter a front door with stylish Art Deco cut glass into a warm and spacious reception area with hardwood floors, an attractive cream-city-brick back wall and an asymmetric layout of adjacent practice rooms. “We wanted to have a place where people could just walk in, sign up that day and have it accessible to a neighborhood that had a lot of kids in it,” Davis explains. West End Conservatory co-founder Neil Davis. So the flame of their vision never died; it just grew. They’re aiming for accreditation as a pre-collegiate community music school and restructuring from a partnership to a non-profit or hybrid non-profit. West End already seems an important redefining of hands-on, face-to-face music education with a Milwaukee community orientation. That’s partly because much of traditional education’s direction is under duress and upheaval by various political and social forces, with an unsettled future. And online education is displacing much of traditional face-to-face learning’s role. These musician-educators don’t seem to have illusions about the trends they’re bucking. But they’re filling a gap in Milwaukee’s cultural makeup and geography. Heretofore, West Side residents needed to travel to the East Side’s Wisconsin Conservatory of Music or UWM’s school of music – or sing their own “West End Blues” for lacking a nearby music education center. After nearly three years in operation, that location decision appears prescient, judging by the community response. One recent weekday afternoon, young neighborhood music students and their parents jammed the reception area. With mainly Facebook-style online promotion, they’re sustaining instruction and a musically ambitious level of recital performances by faculty, local and touring guest artists in the Conservatory’s performance space. The West End will host the acclaimed alt-jazz trio The Bad Plus for two shows at 7 p.m. (which is sold out already) and 9 p.m. on Saturday, Feb. 6. The Bad Plus’ recent recordings include one with sax giant Joshua Redman and an audacious 2014 piano-trio adaptation of Stravinsky’s modernist powerhouse The Rite of Spring. Bad Plus drummer Dave King brought his own group in and did a master class here not long ago. The Conservatory location is also close enough to the inner city that it could provide career direction for underserved and disenfranchised black youth, especially considering that the African-American Joshua, who teaches piano and saxophone, also specializes in educating very young students, some as young as four years old. On the other hand, the WEC has students as advanced as Nicolet High senior Evan Johnson, who’s studying electronic music, film scoring and, recently, jazz orchestra arranging. The 15-person faculty includes string instructors and classical composer Keith Carpenter, “so there’s something for everyone,” Davis says. That includes the yeoman efforts and talent of drummer Devin Drobka, a Berklee School of Music graduate who also stages Unrehearsed MKE in the performance space. Drobka closely curates the sessions by matching up various musicians in completely improvised sessions. “We have great teachers in Devin and Barry Paul Clark on bass who are also pushing the envelope of what is possible,” Davis says. “I can’t say enough about Devin’s efforts to bring serious, progressive music to Milwaukee. “We are trying to make it also a place where teachers feel they have complete autonomy. It sounds pie-in-the-sky, but to me, the best thing is to let people be themselves. 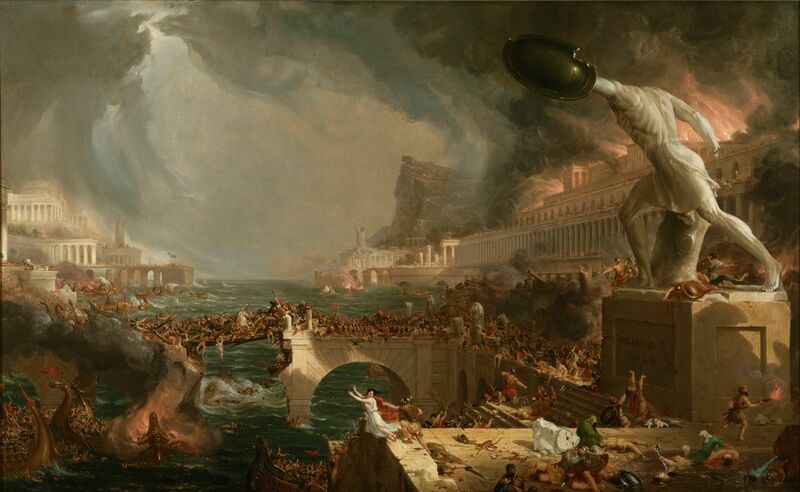 They’re good judgment will prevail, in time. I think that contributes to that community feel, a casual atmosphere without sacrificing any quality. We like to get to know all the parents, invite them to recitals. We have events with The Vliet Street Business Association and, in summer, our students play at the Washington Park band shell. As a guitarist, Davis felt technically accomplished until he started studying with bassist Billy Johnson after a 2004 jam-session meeting. Johnson is a Milwaukee native with a strong track record of working and recording with nationally-known jazz artists, including Lionel Hampton, Wallace Roney and Geri Allen. Among Davis’s regular current gigs is playing with The CNJ Latin Jazz Band led by Cecilio Negron. Isaiah Joshua teaching a student at the West End Conservatory. These days, a lot actually works for Joshua, Davis and The West End Conservatory. 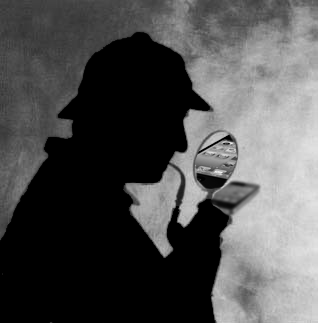 For you browsers, detectives, or the occasional researcher, here’s a list of all Culture Currents blog posts, in order of the number of views they have received, as of Feb. 2, 2016. You may directly access any given post by clicking on the title. I hope this increases your enjoyment and use of the website. 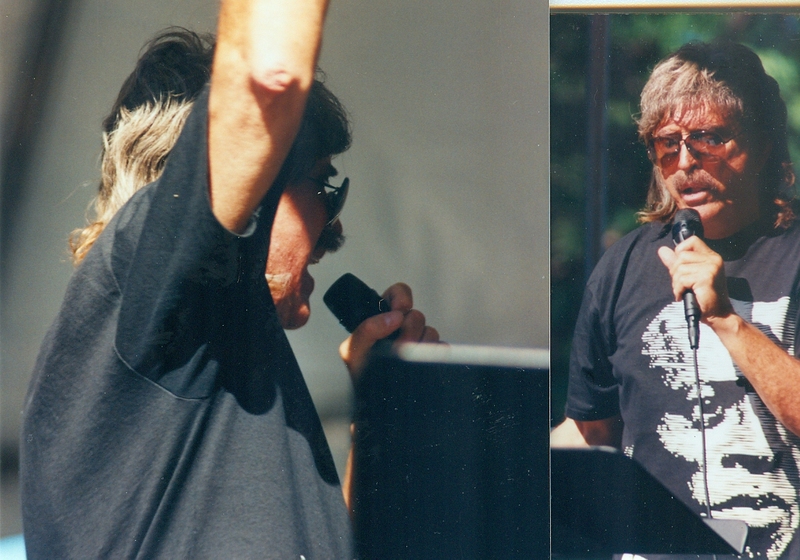 Here’s a postscript on the significance of the 1967 Jefferson Airplane album After Bathing at Baxter’s, which was highlighted by Howard Mandel in a tribute to airplane visionary Paul Kantner who died on Jan. 28. See my previous blog for his tribute. Facebook friend Alan Ringel supplied us with a link to Jean Luc Godard’s short film of the Jefferson Airplane performing a piece from After Bathing and Baxter’s called “House at Pooneil Corners” — on a rooftop in downtown New York. Ringel says they had just performed the concerts that became the great live album Bless Its Pointed Little Head, which included Baxter’s material. It’s really striking that they perform this fairly challenging minor-key song for a New York street public. However, the band sets up and sustains a strong groove, and vocalists Grace Slick and Marty Balin heat it up as only they can (Kantner is on the left, in glasses.). It was too challenging for at least someone, who apparently called the police. They came and broke up the music and proceeded to arrest the members of Jefferson Airplane — arguably America’s best rock band at the time — apparently for disturbing the peace, for playing one song. They may not have had a performance permit for that New York roof. Watch it happen here. Call it a quintessential moment of inspired 1960s rock anarchy. The Jefferson Airplane back in the day. 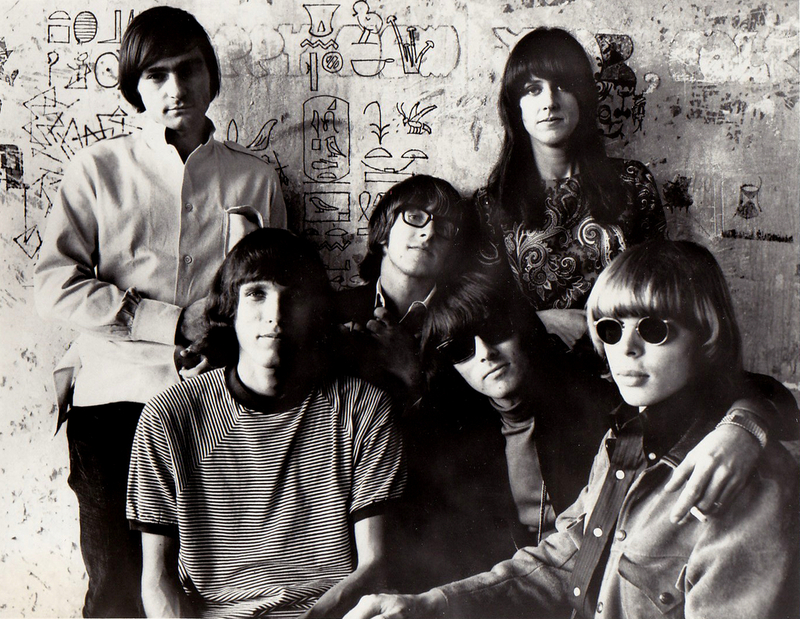 (L-R) Marty Balin, Jorma Kaukonen, Paul Kantner ( (with glasses), Spencer Dryden, Grace Slick and Jack Casady. Courtesy unifrance.org. Noted jazz critic, author and Jazz Journalists Association President Howard Mandel recently felt that the death of Paul Kantner, guiding light of the Jefferson Airplane and Jefferson Starship, didn’t receive enough notice, especially in light of the deaths of David Bowie and The Eagles’ Glenn Frey. Kantner died at 74 on Jan. 28. Mandel’s tribute to Kantner, on his ArtsJournal blog Jazz Beyond Jazz, struck me because of his focus on the third Jefferson Airplane album After Bathing at Baxter’s. That slightly kooky out-of-left-field title provided a clue to the album’s originality. Though it yielded no hit songs (the band’s preceding Surrealistic Pillow had included “White Rabbit,” “Somebody to Love” and “Today”) Mandel’s point about Baxter’s was its extraordinary experience as a total album statement. 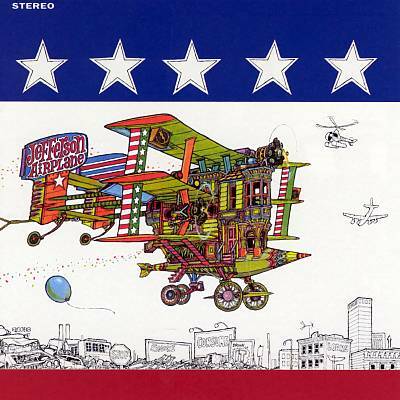 The album cover to “After Bathing at Baxter’s.” The eccentric “Jefferson airplane” has a big banner attached behind it bearing the album’s title, on the wrap-around back of the album. The cover art was by Ron Cobb. Courtesy all music.com. In responding to Mandel, I took up his challenge of asserting Baxter’s as a supreme American rock group album, when he ticked of a list of other great American rock groups of the era. Howard, Thanks for writing about Kantner and giving him some due, which I considered doing but deadlines were in the way till now. I myself, like others, probably never appreciated him enough, per se, but he was clearly the main man with the Airplane/Starship vision. And he was an archetypal 60’s rock political artist/agitator/visionary/idealist. I’m glad that you spoil for an argument by staking a claim for Baxter’s against all those other heavy bands/artists. Among those, I might throw “up against the wall” to see if they stick are The Band’s second album, but that’s so brilliantly & profoundly retro-roots whereas Kantner and the Airplane were so in-our-moment-and-our-future-out-there, but with a blues-rock-jazz take-off and landing strip. Or Butterfield/Bloomfield’s East-West, though that is not so cohesive in a tripped-out Rorschach test manner than Baxter’s. However, E/W has a superb dynamic flow and several indelible pieces, “I Got a Mind to Give Up Living” & “Work Song,” and it meant more to me, personally, especially the title tune, which bent and expanded the mind/spirit of countless people and musicians. I wore out at least one vinyl copy of East-West but also one of Baxter’s. Other candidates are Live/Dead which I also soaked up despite its sprawl, all three original Hendrix Experience albums (Axis, Bold as Love is under-appreciated) of course, and maybe a few Mothers albums, maybe Uncle Meat, though I rarely really listened to all of it. 1 Mandel toned down his umbrage when others pointed out considerable coverage of Kantner, but his argument on Baxters, etc. is still a fine Kantner tribute.